Unconventional warfare isn’t popular among Western strategists these days. Whether it’s supporting insurgent groups (the strict definition ) or supporting militias allied with government forces, proxy warfare has a bad reputation. The complex situation in Syria and Iraq isn’t helping matters: the US is struggling to find a reliable proxy in Syria  and confidence in Iraq’s security forces and associated militias is low. In a recent editorial in the Canberra Times, Hugh White said, ‘For half a century America and its allies have been trying to win messy civil wars without fighting themselves and by training and equipping one side or the other. It never works’. Professor White’s not alone in his dismal assessment. The New York Times’ Mark Mazzetti reports  that a recent CIA study came to a similarly dim conclusion—that US efforts at unconventional warfare had little effect on the long-term outcome of conflicts. Despite those conclusions, it’s unwise for strategists prematurely to dismiss the idea of supporting insurgent groups and working with non-state armed groups in both current and future conflicts. For those who find proxy warfare detestable, its poor record mightn’t seem worrisome. Unfortunately, global trends suggest future conflicts will be characterised by insurgents, militias, and non-state armed groups who’ll be important in determining outcomes. Reports , including the National Intelligence Council’s Global Trends 2030 , show that increasingly those groups emerge to fill the security vacuums of failing states. They have easier access to external sources of support. Russia  and Iran clearly see proxy warfare as part of their strategic culture. Even most conventional future scenarios—what Douglas MacGregor calls ‘wars of decision ’—will have insurgents seeking to influence outcomes before, during, and after decisive actions. So it’s critical that strategists understand unconventional warfare  and how to counter it . No matter how detestable we might find proxy warfare, it does work and our enemies would be happy to use it against us. The data on supporting insurgent groups helps to illustrate my point. Studies of insurgencies  and civil wars consistently demonstrate that external support is the most common enabler of insurgent success and that failure to isolate insurgents from external support is one cause of  unsuccessful counterinsurgency campaigns. If external support matters so much in determining the outcome of civil wars, but US and allied efforts have a bad record, what’s the obvious conclusion? The problem isn’t that unconventional warfare doesn’t work; the problem is that we’re not good at it! The US and its allies are either doing something wrong or failing to do something important. Actually, it’s both. Generally speaking, when supporting insurgent groups in the past, the US and its allies have either committed too little and/or expected too much. It’s important to recognise this failing now and to make a concerted effort to better understand how to incorporate unconventional warfare in future strategy. To be fair, the US and its allies have had some success when they chose to support a side in both insurgent and full blown civil wars. Successful examples include Afghanistan in the 80s, at the beginning phases of Operation Enduring Freedom in 2001, and in Yugoslavia during World War II to name just a few. (There are more .) However, according to Mazzetti, the report claims that CIA efforts were less effective when insurgent militias fought ‘without any direct American support on the ground’. That’s a point I’ve emphasized before . Proxy forces will be more effective (and more malleable) when advisors are on the ground and providing them with capability, trust, advice, and support. Proxy forces live in the dangerous reality of civil war and social anarchy, and therefore have different immediate and long term interests than their sponsors. It’s a principal-agent problem  that has to be addressed. If we don’t commit blood and treasure to their cause, we can’t expect to influence their behaviour—or the outcome. Even if the commitment to proxies is strong, there’s also the danger of expecting too much from unconventional warfare strategies. In those cases where the US has been successful in supporting proxies, the desired outcome was broad. 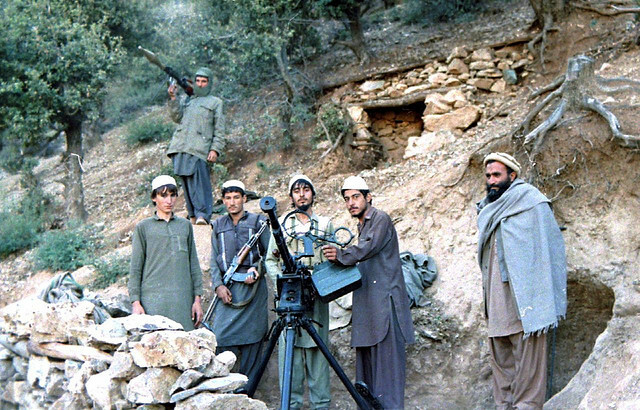 In Afghanistan in the 80s the US sought to punish and expel the Soviet Union from Afghanistan and cared little about what came next. Unconventional warfare with the commitment of only material support was good enough for the US, because Pakistani ISI provided the on the ground advice. In Operation Enduring Freedom, material support, in addition to on the ground advice and capability (air power) to the Northern Alliance was enough to defeat the Taliban—albeit not enough to secure the peace. In Yugoslavia during World War II, the objective was simply to keep Hitler’s divisions occupied. In each case, the objectives of unconventional warfare efforts were simple, broad end-states. The more control one expects over the outcome, the greater the need for a comprehensive strategy within which support for insurgents is merely one strand. The lessons for anyone interested in military strategy are pretty clear. Future conflicts will be filled with sub-state and non-state armed groups. The capability to assess, influence, support, and integrate those entities into operations and strategy is something every credible military force needs to possess. Strategists need to understand those groups in both the context of the conflict at hand and in theory. The ability to influence such groups requires commitment. And, of course, the ability to influence outcomes requires that unconventional warfare efforts be part of a bigger strategy. Lieutenant Colonel Jan K. Gleiman is an active duty US Army officer and a visiting fellow at ASPI from United States Pacific Command. The views expressed in this post are his own. Image courtesy of Flickr user Erwin Franzen .